I graduated in 2016 from Brighton’s BA (Hons) Fashion and Dress History degree and am now Assistant Curator of Social History at Southend Museum, where I work with the social and local history collection as well as the extensive costume archive. Highlights of the collection include the EKCO radio archive and the Plume swimsuit archive, the largest collection of swimwear in the country. Brighton provided me with the starting step to pursue a career in museums. 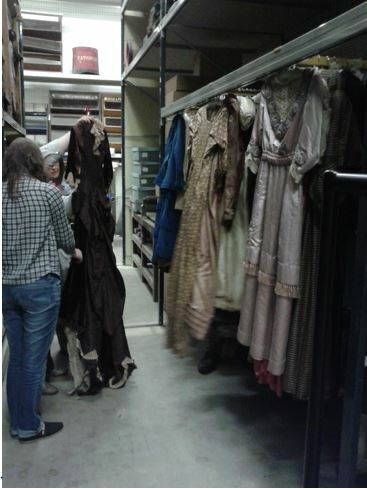 What I most enjoyed was how tutors encouraged primary research through visiting archives and using the University’s Dress History Teaching Collection. This approach has proved useful within my current role, where I am often handling artefacts. 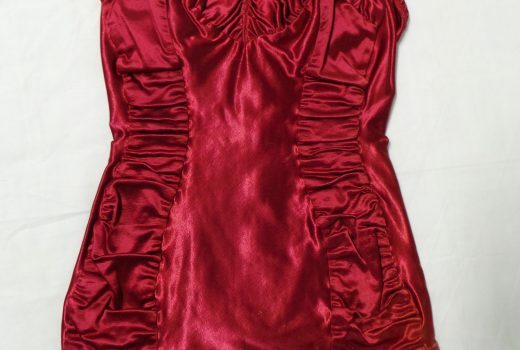 In a recent donation to the museum I used my undergraduate training to explore a beautiful silk chiffon dress. The garment’s delicate stitching showed the handiwork of a skilled dressmaker, whilst a tiny tear on the fragile hem pointed to a heel catching in the fabric, perhaps when the wearer was dancing. 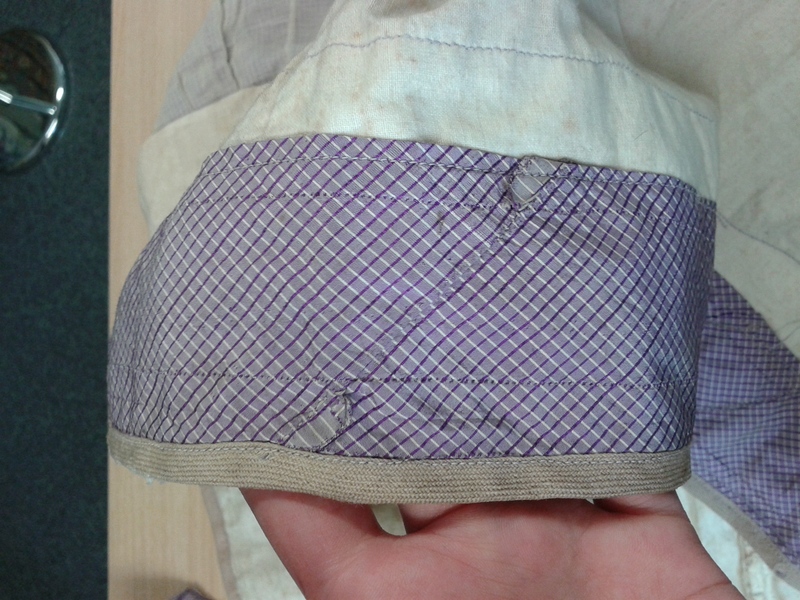 Details like this will inform how the garment is stored, as well as providing a ‘biography’ of an object crucial for creating an exhibition narrative. Throughout my time at university I loved uncovering stories like these and spent many an hour at St Peter’s House Library using its extensive periodical and microfiche archive. One of my favourite projects was researching the clientele of 1920s couture, which meant poring over the Vogue archive. At times like these I knew I had chosen the right degree! For all current students, I really recommend making the most of these brilliant resources and, being a current Masters student, I must admit I miss the well-stocked shelves of St Peter’s! In my second year I started research for my dissertation, which explored the performance and liminality of 1950s swimsuit pageants. I was keen to ground my writing in archival research and this led me to Southend Museum’s swimwear archive. 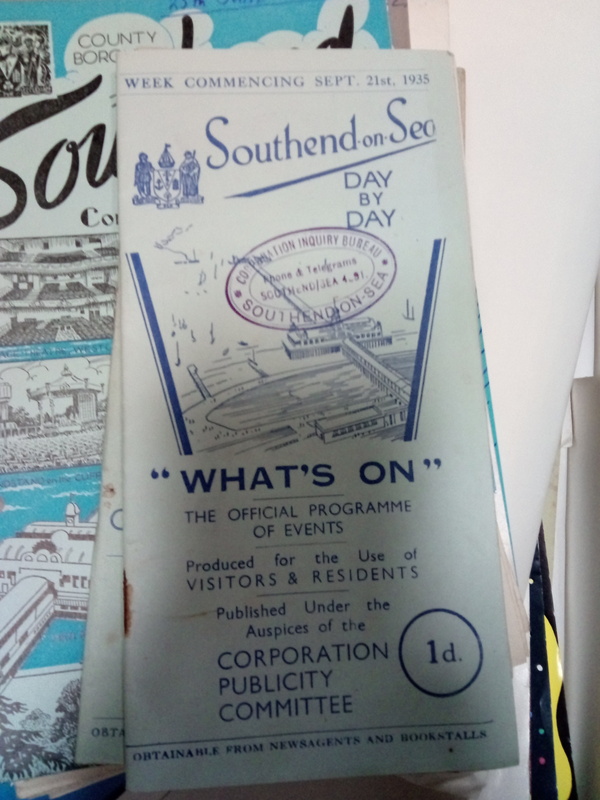 Being from Southend, it was fantastic to discover the wealth of the collections and this inspired me to start volunteering. A major project I undertook as a volunteer was cataloguing over 500 swimsuits from the Plume collection. Along the way I assisted in exhibition installations and co-curated an exhibition on the history of toys, allowing me to build up a diverse range of skills. 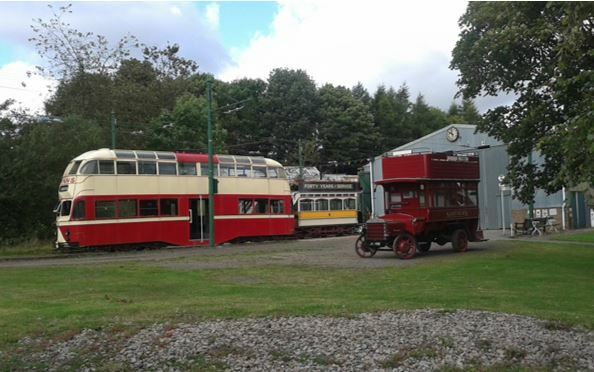 Volunteering seems to be a prerequisite for gaining paid work in Museums and local museums truly can provide brilliant opportunities for anyone intent on working in the sector. 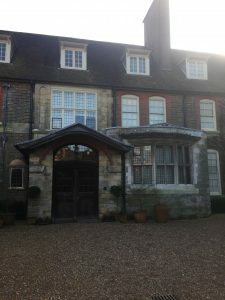 After graduation I worked part-time for the University of Essex Library and started a Masters in Museum Studies, a distance-learning course, which has allowed me to continue to work. I must admit studying for a Masters, whilst being in employment and trying to gain entry into the museum sector was a challenge! As many have probably experienced, gaining work in museums can feel like an uphill struggle of endless online application forms. But I must stress that it will happen eventually! Always take whatever opportunities come your way, whether this means volunteering in your local museum like me, or gaining hands on experience within an archive: it’s all relevant experience and it’s fun. 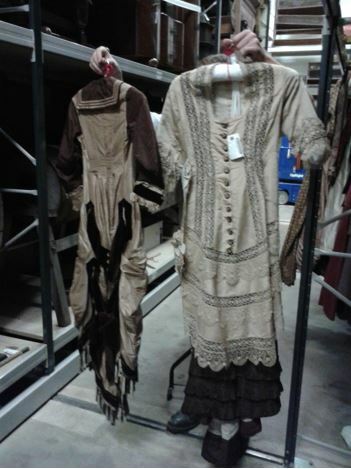 Image 3: Inside the costume store, Southend Museums (image by author). 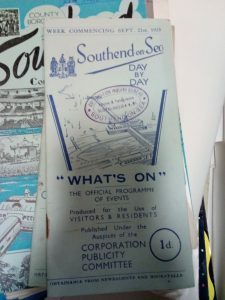 By volunteering at Southend I was able to build up a large amount of experience and apply for the post of Assistant Curator. 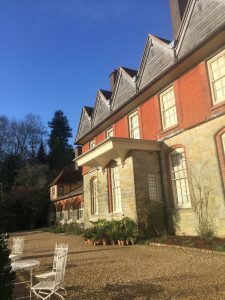 It’s fantastic to work now with such a wide-ranging collection and every day is different, whether this be accessioning donations, undertaking exhibition research, taking part in school visits or co-ordinating a touring exhibition. A major responsibility is undertaking the rationalisation of the social history collection, ensuring it is relevant and usable for generations to come. An upcoming project, Snapping the Stiletto will see museums across Essex collaborate to celebrate Essex women and dismantle the ‘Essex Girl’ stereotype. I am excited to build strong partnerships across Essex and the culminating touring exhibition and events across the county are something that people should look out for in the coming year. It’s fantastic to be in an industry that is so creative, one that has the ability to tell so many stories and to inspire so many people. I am so glad that I applied to Brighton and grateful for the starting step it gave me. It really is amazing is how far one project can take you. From what started simply as a class presentation led to assisting lectures, journal publication and even curating a display just a year later! During my final year studying the BA (Hons) Fashion and Dress History at the University of Brighton, we had the privilege of being taught by Professor Lou Taylor, pioneering dress historian. The spring term Special Subject module focused on case studies of objects in the Dress History Teaching Collection. 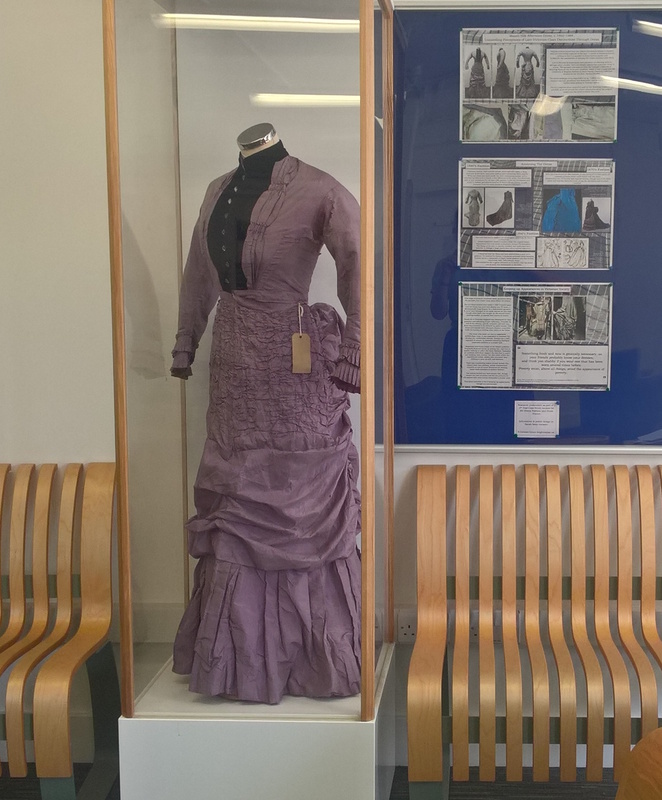 Throughout her career, Taylor has amassed a wealth of dress objects which now reside at Pavilion Parade, an incomparable resource waiting to be utilised by students. Each piece has a fascinating backstory – rejected by museums, donated by alumni, rescued by students – though only a small percentage of the collection has been thoroughly researched. 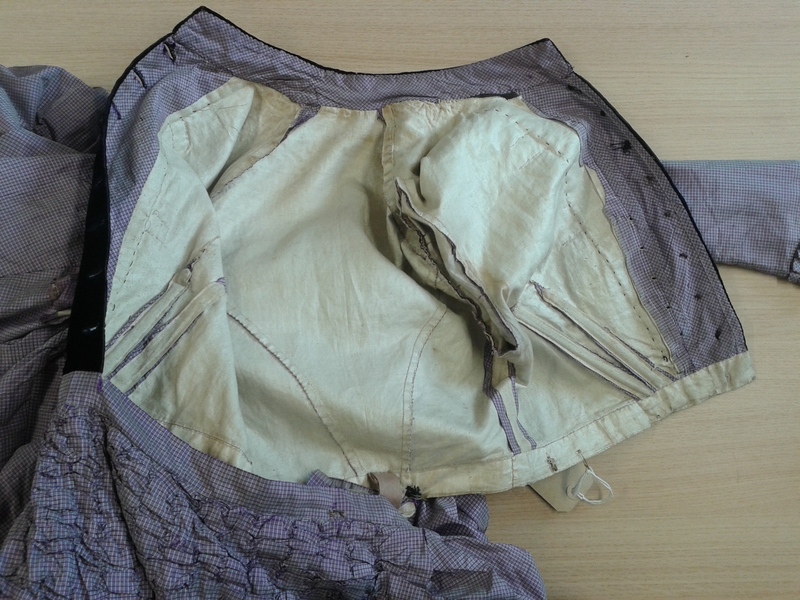 The aim of our module was to improve our own analytical and interpretive skills as dress historians, but also to provide a selection of objects with proper catalogue entries. 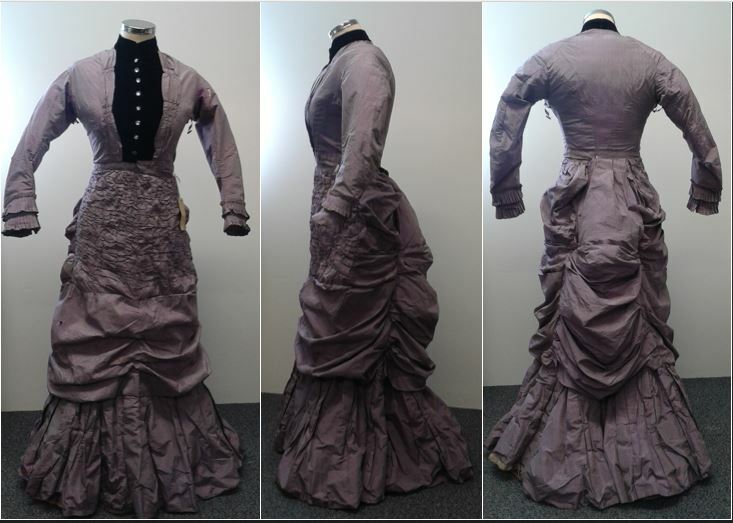 The garment I had my heart set on was already selected by someone else, so I unenthusiastically settled on researching an 1888 Mauve Day Dress. I began the project totally convinced that there was nothing exciting about the Victorian era, and grumbled to friends how boring this project would be. I was so wrong! Eventually I found how to apply my own interests to the research. Once I moved past my preconceptions of 19th Century dress, the analysis process became fascinating. I studied the dress inside and out, then compared it to other dresses from the period: it was clear that it wasn’t a straightforward example of 1880s fashion. 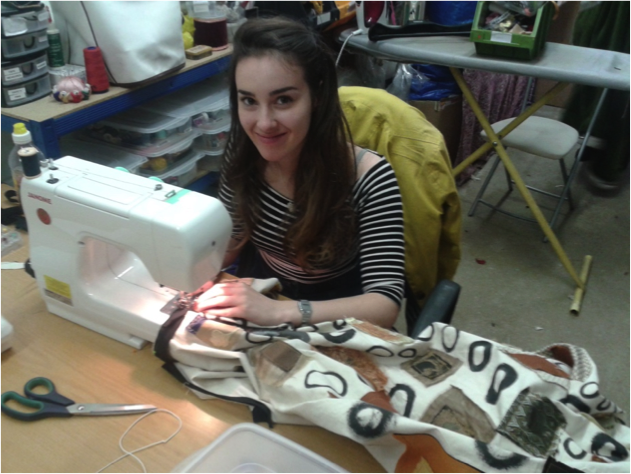 As a dressmaker myself, the garment’s messy construction intrigued me. Other evidence in the garment led to the conclusion that it could have been an 1860s dress altered over 20 years. 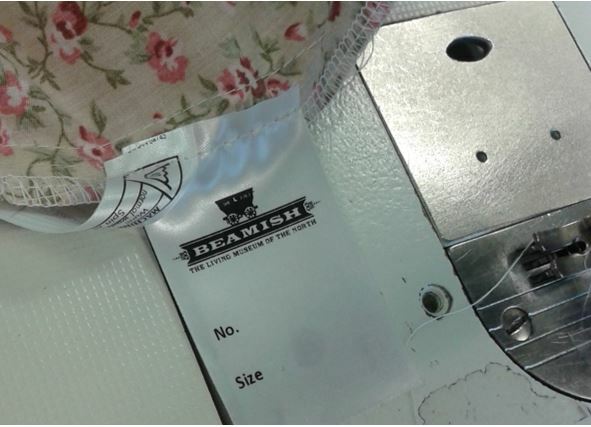 My project became a detective-style investigation into who the wearer was; where/when was the dress first made? Why was it altered so dramatically? And was this dress renovation typical for the period? Throughout the assignment, I contacted several museum-based professionals regarding the dress, and became more confident networking as a researcher. I looked into museums policies regarding altered garments, and how different keepers of costume interpret their collections. 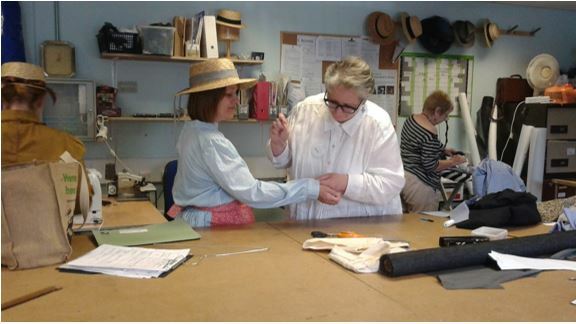 Over the course of the module, I developed a specialist understanding of mid-late 19th Century home-dressmaking, strengthened my ability to read dress, learned how to properly mount costume, and found out a great deal about the theory of dress history and the field today. Outside of university, this project gave me the confidence to submit an exhibition review to Textile History Journal, which was selected for publication last November! Knowing how invested I was with my case study, Professor Taylor asked me to assist with her first year lecture and object handling session, and to do a small talk about the dress. I was so nervous about speaking in front of a large group, but the session went brilliantly. It was surprising how much information I could recall about the dress; I started to feel like a proper historian! This year I was asked to help out again, and so came prepared with notes and printed images to aid my talk. The success of this led to a conversation about displaying the dress in the School of Humanities’ Pavilion Parade foyer. With help from Clare in the office, mounting the dress was straightforward, though preparing information for the posters was challenging. I had to figure out what story was being told and how to make it interesting for a public viewer. Revisiting an undergrad project as a postgrad student, it was clear to see how much my work has strengthened in just a year (frustratingly, I found a spelling mistake on the first page of my original paper!). Displaying my research made me consider how museums and heritage sites interpret their collections, and this little display pushed me to develop my own curatorial skills. All in all, I never expected the work done for one assignment to be the basis for such fantastic things. 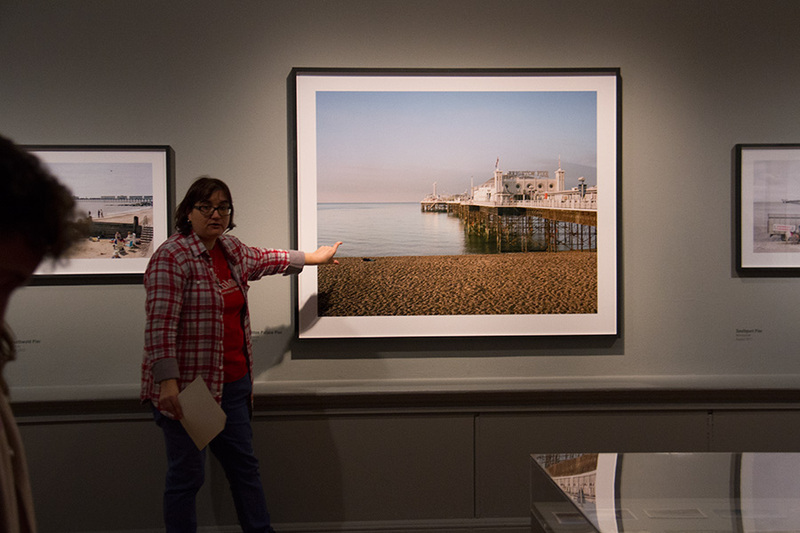 Having the Teaching Collection as a resource has been an invaluable part of my education at Brighton, and has reinforced the importance of understanding objects as sources of information to be read. I’ve been fortunate to have opportunities at the university to provide me with experience I can take into my career. It would be great for more students to get involved showcasing other pieces from the Teaching Collection in future, as there are many, many more fascinating stories to be shared! What does it mean to exhibit fashion today? 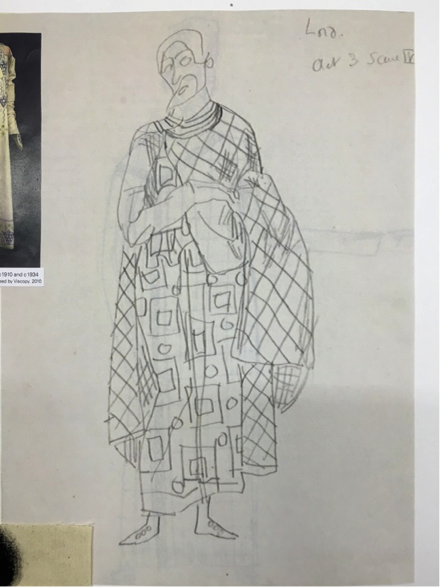 Student Jade Bailey-Dowling (BA (hons) Fashion and Dress History) visited the London College of Fashion event Perspectives on Fashion Curation to find out. 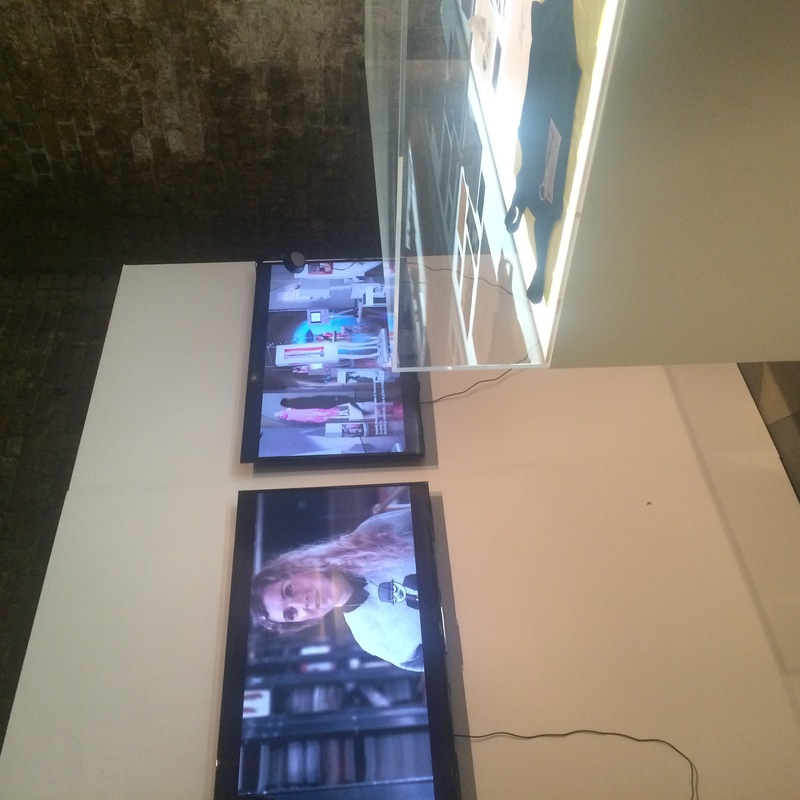 For a two week period, London College of Fashion (LCF) took over House of Vans in Waterloo with an exhibition and programme of events called Found In Translation, showcasing work from the School of Media and Communication postgraduate courses at LCF. 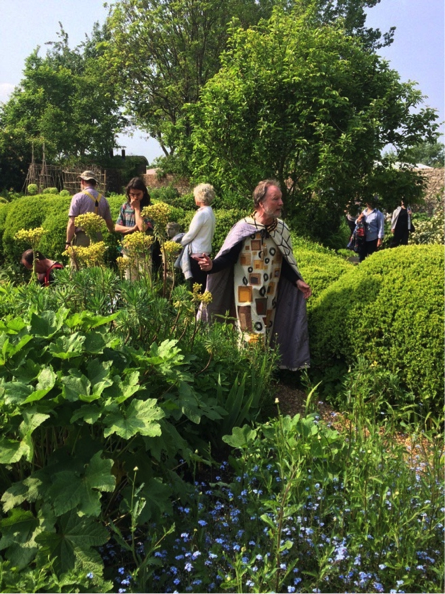 These include Master’s courses of interest to Brighton’s History of Art and Design BA programme students including Costume for Performance, Fashion Cultures, and perhaps most relevant for those studying Fashion and Dress History, Fashion Curation. 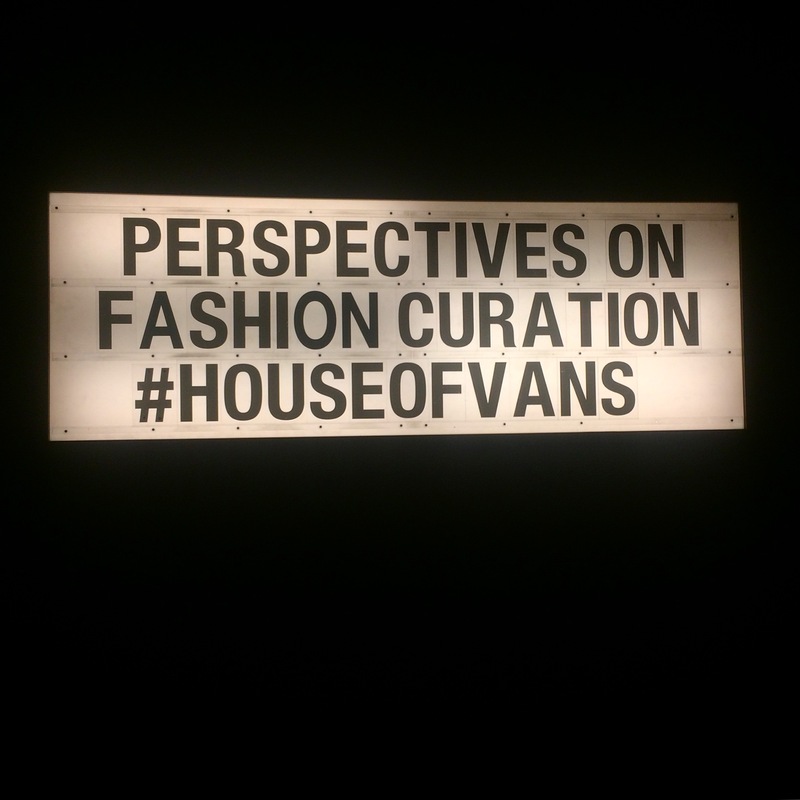 On Friday 17 February, I attended Perspectives on Fashion Curation: a series of presentations by some of the leading figures who teach on LCF postgraduate programmes in Fashion and Dress History and Fashion Curation. The event was chaired by Ben Whyman, the manager for Centre of Fashion Curation, and began with presentations from several experts in the field talking about different areas of fashion curation and exhibition making. 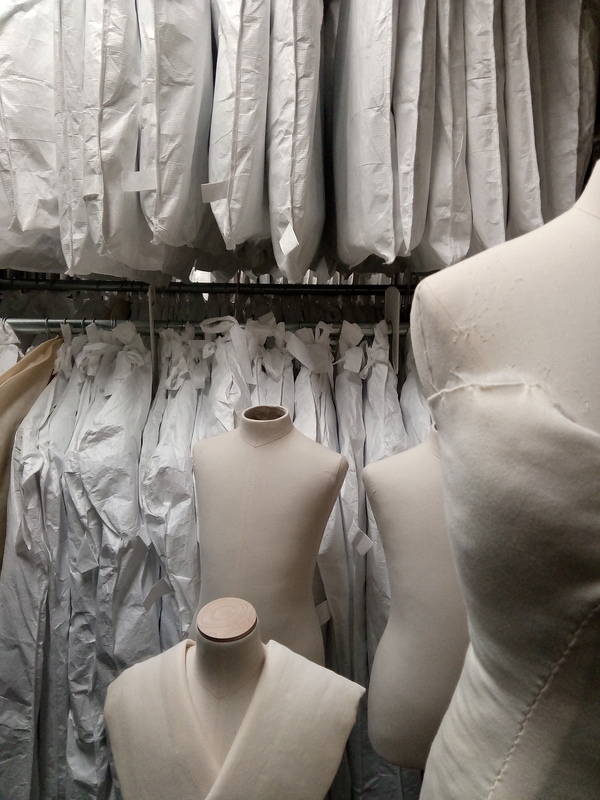 Susanna Cordner introduced the London College of Fashion Archive which is open by appointment only and has a vast array of fashion objects, literature and other artefacts. The collection includes 650 shoes from the Cordwainer College Archive dating back to the 18th century. Cordner has worked hard to create an immersive experience from the archive and organises events such as the Object Reading Group, where an object is presented and attendees discuss them, and Sartorial Stories, when a guest speaker from the industry, from designers to editors, bring in an object and discusses it in relation to their career and the fashion industry. Jeff Horsley explored concepts of exhibition making, and spoke in great detail about the fashion displays in Antwerp that he has been researching for his PhD. Themes of his talk included the importance of exhibition entrances, concepts of what ‘objects’ are within a museum context and the use of mannequins for historical dress vs. contemporary haute couture that could be displayed on a live model. This is something Claire Wilcox – curator of the exhibition Alexander McQueen: Savage Beauty – has explored with Fashion in Motion at the V&A by presenting contemporary fashion on live models around the museum rather than confined to a glass cabinet. Wilcox, who began working at the V&A in 1979, also spoke about changes in fashion collecting and the shifting attitudes towards fashion exhibitions and contemporary designers in a museum collection. 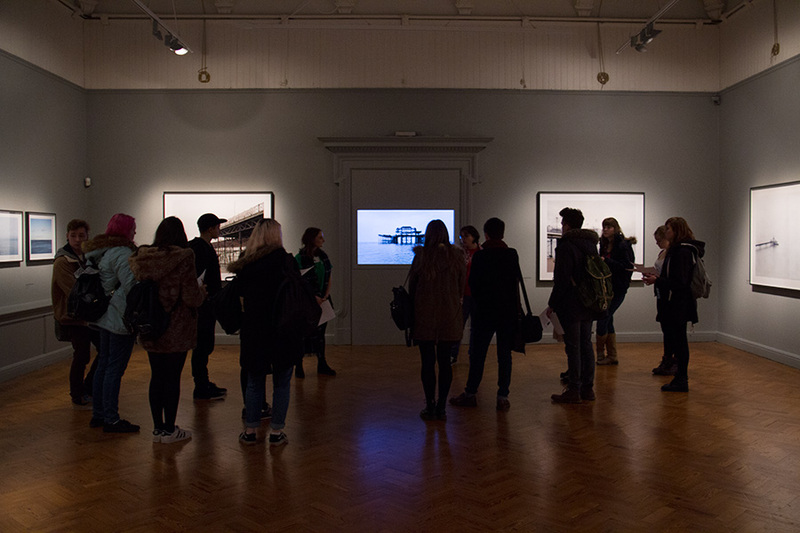 The penultimate presentation was an overview of the Fashion Space Gallery that is at the campus just off Oxford Circus. The space relaunched in 2014 and was described by Ligaya Salazar, the gallery director, as an ‘interdisciplinary incubator of ideas about fashion” and a “think tank for curatorial ideas and experimentation.” Although it is a small space, there is arguably more freedom than at a larger establishment, leading to innovative use of space and creative curatorial decisions. 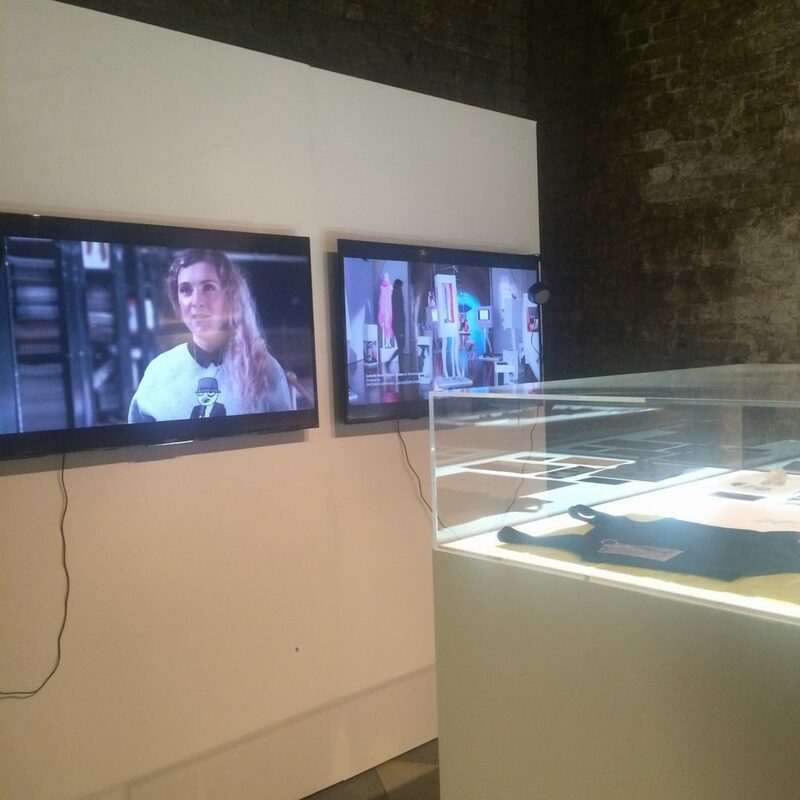 The current exhibition, Museum of Transology, curated by E-J Scott, documents objects of importance to members of the trans community and runs until 22 April 2017. 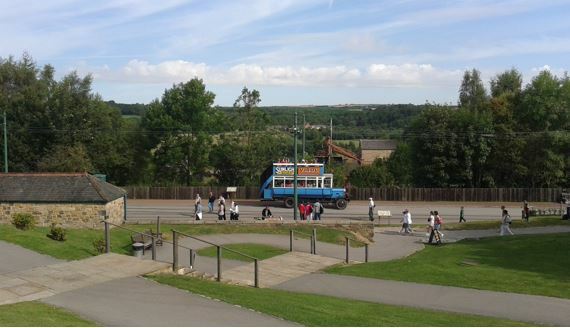 Their work also goes outside of the gallery with the travelling Polyphonic Playground. This off-site project is a kind of playground apparatus that can be used to make sound art as all of the surfaces use touch technology or electrical conducting thread to create sound. 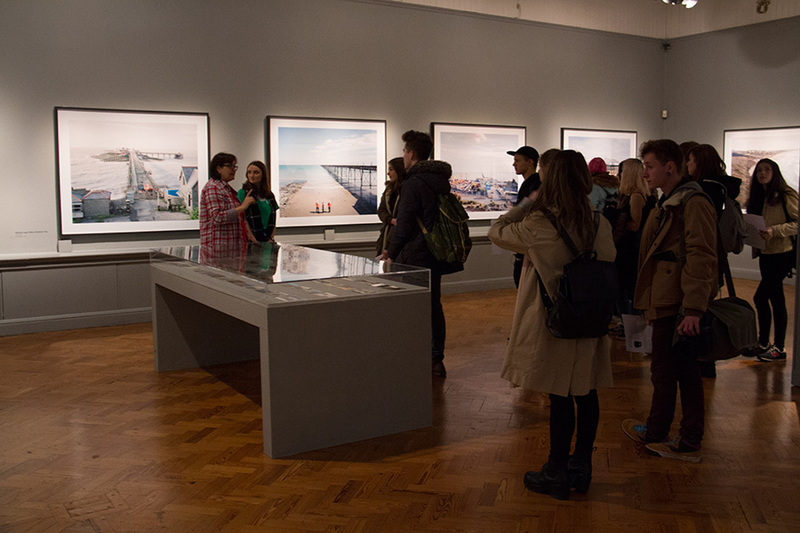 Similarly, Alison Moloney spoke about a traveling exhibition she worked on called Cabinet Stories in which 7 curators would use the small cabinet space to display objects in different venues, including a women’s prison, an NHS hospital ward for people with suffering with personality disorders, a charity shop in Poplar and an old peoples home. At all the venues, people were encouraged to then display objects that meant a lot to them. This meant that people could get involved from the community in curation, showing the diversity of fashion outside of the museum. Moloney also introduced the project 1914 – Now, a series of films and essays summarising the themes of this event, which was displayed in the exhibition space at House of Vans and also available on SHOWstudio. Fashion films explore initiative ways to present fashion using film, visuals and sound, much in line with the inovations presented at this talk related to new ways to exhibit fashion and dress. MA Fashion Curation final show at LCF. 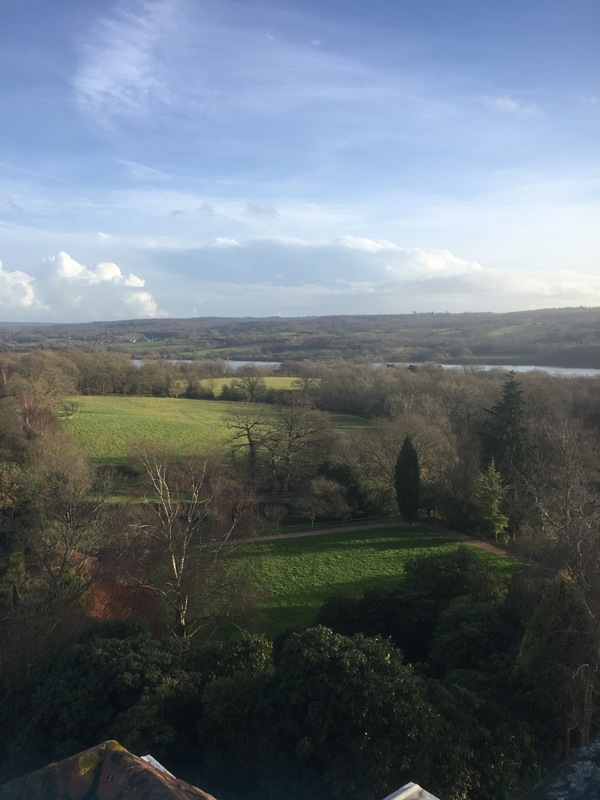 Photo by Jade Bailey-Dowling, 17 February 2017. The final portion of the event was a panel discussion with Amy de la Haye, Alison Moloney, Jeffrey Horsely, Ligaya Salazar, and Claire Wilcox, where they discussed what curation meant for them, motivations when creating an exhibition and generally what it is like to curate a fashion exhibition. It was fascinating to hear differing approaches on the subject of fashion curation and to learn more about how experimental the field is. In July of this year, I graduated from the University of Brighton with a BA (Hons) in Fashion and Dress History and I am now a History of Design and Material Culture MA student, also at Brighton. 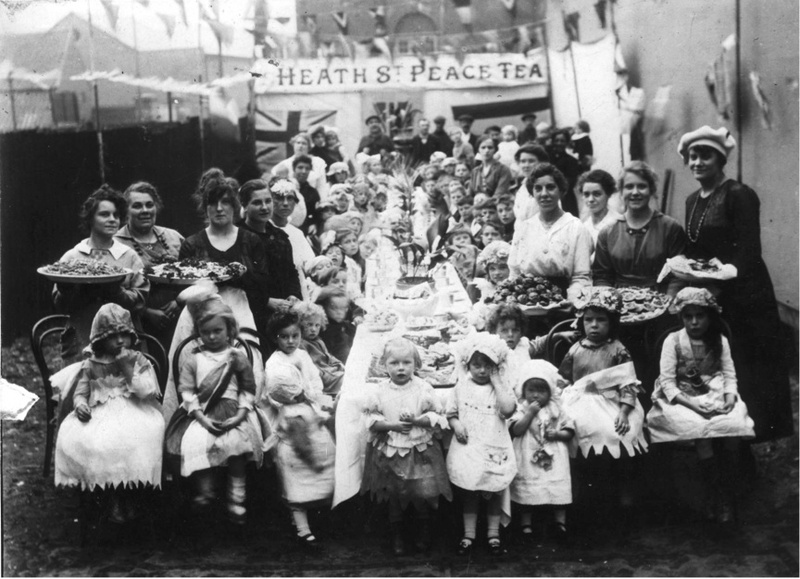 My BA dissertation, entitled, Negotiating Female Masculinity in the Early Twentieth Century: the Case of Vera ‘Jack’ Holme (1881-1969) won the Design History Society 2014 undergraduate essay prize. 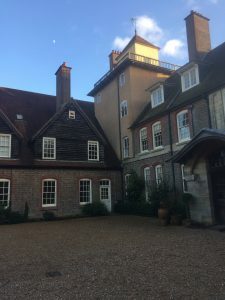 The Design History Society (DHS) is an international organisation that promotes the study of global design histories, bringing together and supporting all those engaged in the subject. Each year the DHS awards one undergraduate and one postgraduate the annual essay prize. As winner of the undergraduate prize, I was awarded a bursary of £300, one year’s membership of the DHS, £100 worth of Oxford University Press publications, 5 Paperbacks in the Oxford History of Art series, one free place to the DHS conference and gala dinner, and a £200 travel bursary to enable my attendance. 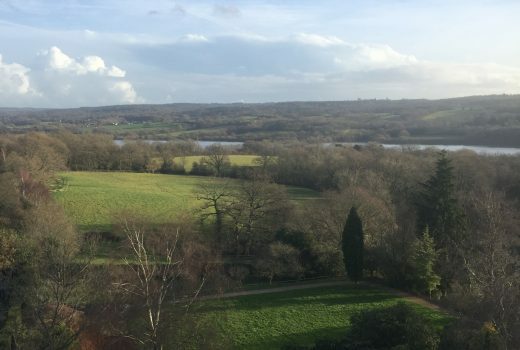 DHS conferences are often held overseas; last year’s was held in Ahmedabad, India, and next year’s in San Francisco, so I was thrilled that this year’s was held in Oxford meaning, with the help of the travel bursary, I was able to attend. 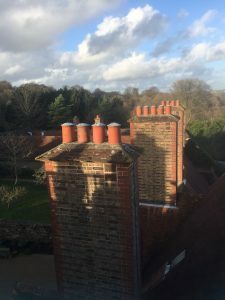 Along with Annebella Pollen, Nicola Ashmore, Megha Rajguru and Louise Purbrick from the University of Brighton, who were all presenting at the conference, we stayed in the temporarily-vacant University of Oxford student accommodation in Keble College. 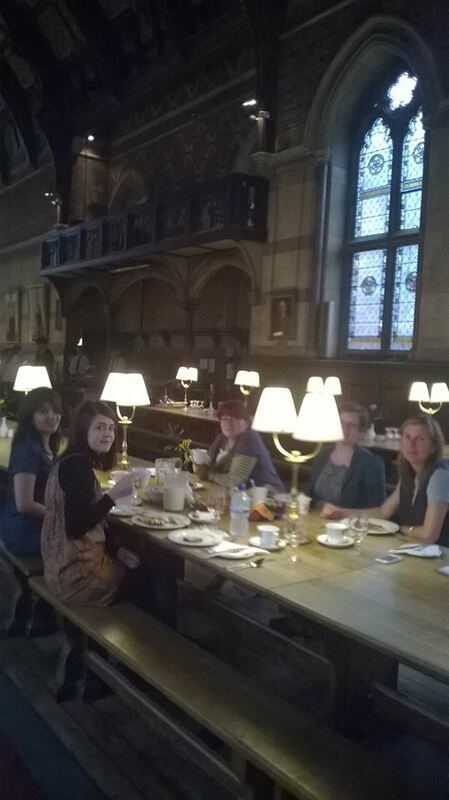 Breakfast was held every morning in the very grand, Hogwarts-esque dining hall where we were unnervingly watched, alongside numerous American tourists, by the patriarchal portraits of past college Masters. In commemoration of the 1914/1944 anniversary, the theme of this year’s conference was Design for War and Peace, exploring the relationship between design, war, peace and protest, which, as conference organiser Claire O’Mahony highlights, usually falls outside the frameworks of design history. Graphic design, textiles and fashion, industrial and transport design, craft and exhibition design were all explored over the sixty-plus papers across three days. Having never been to a conference before, it’s hard to describe what I expected as I really didn’t know. I knew I felt out of my depth, and lacked initial confidence in the thought of keeping up with the intellectual content of the papers then engaging in post-discussion with other attendees. Despite this, I was also very excited to have a glimpse into the world that I ultimately want to be involved in, and this gave me a great introduction. I found some of the academic jargon quite alien, such as ‘keynote speaker’ (an invited speaker rather than a proposed paper), and the concept of a ‘panel’ (small group of thematic papers) but luckily had Brighton staff close by to enlighten me. Due to the short time-scale of the conference, and the volume of papers being given, it was impossible to attend all the papers of interest. As panels ran simultaneously, I had to make some tough decisions on which I thought sounded the most interesting so I usually opted for papers which aligned with my own academic interests in dress and textiles history.A stand-out paper I attended was presented by Jane Tynan of Central Saint Martins entitled, A Bad Fit: Race, Ethnicity and the Uniforms of Colonial Soldiers in the First World War. 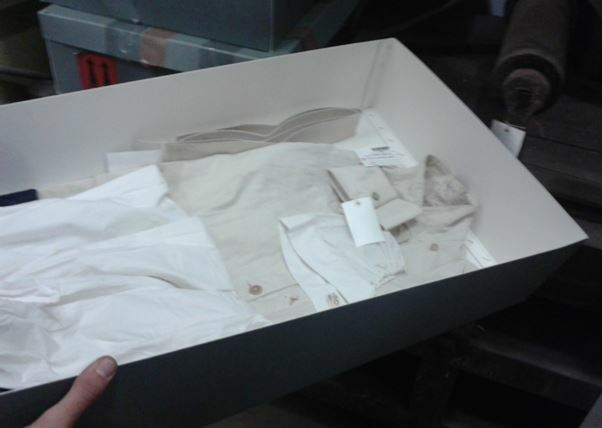 This paper examined WWI uniform designs to see whether clothing was used to signal racial difference between British and colonial soldiers, and also highlighted the ethnic division of labour. The impassioned subject matter of this paper sparked a heated debate during the following Q&A section, which was interesting to listen to opposing views and interpretations of the evidence and arguments presented. The paper of keynote speaker Joanna Bourke, Professor of History at Birkbeck College, entitled Designed to Kill: The Social Life of Weapons in Twentieth Century Britain also stands out as it was an area I had never considered as ‘design’ before. Using the case studies of full and semi-metal jacketed bullets, Bourke investigated the design of weapons whose aim was to cause the most ‘debilitating wounds.’ Although the paper included some harrowing accounts, and shocking images, of ballistic wounds, it was nevertheless fascinating when discussed in the context of the bullet as designed and used object. As mentioned previously, the University of Brighton was represented at the conference. Nicola Ashmore and Megha Rajguru displayed the protest banner created by Brighton artists and activists which depicts a re-making of Picasso’s Guernica. Annebella Pollen discussed the symbolic resistance embodied in the textiles, tents and totems of inter-war pacifist organisation the Kibbo Kift Kindred, and Louise Purbrick examined the political and protest handkerchiefs decorated by jailed prisoners during the 1970s Northern Ireland conflict. 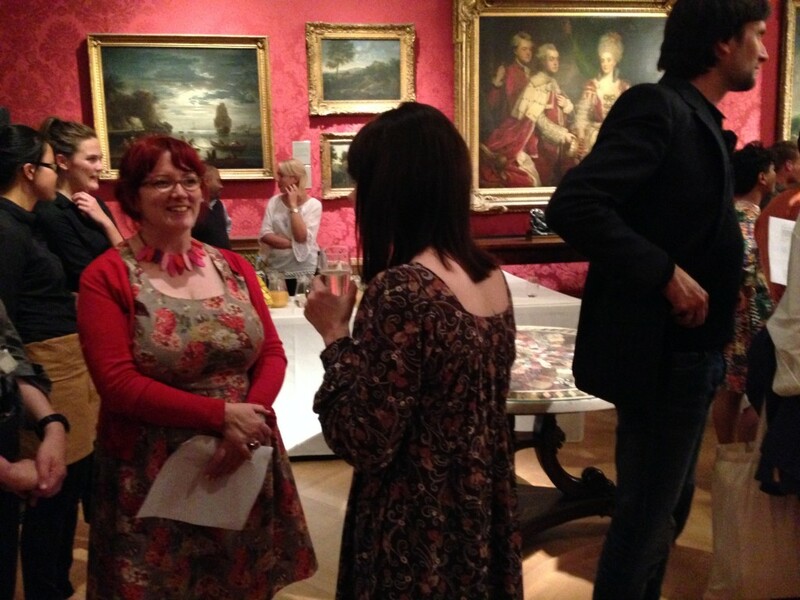 On the first evening of the conference, the prize winners were announced at a drinks reception at the Ashmolean Museum of Art and Archaeology. All speakers and delegates were present and it was a great opportunity to meet academics and fellow students. As a shy person. the prize announcement was a good ice-breaker for me as it meant people then approached me to say congratulations. I met a PhD student who suggested I submit an abstract to speak at her student-focussed ‘research in progress’ conference next year, and I had the opportunity to discuss my dissertation with aprize judge who gave me great feedback and advice on continuing my studies in the area. Research from my BA dissertation has been selected for inclusion in the Lesbian Lives Conference 2015, held at the University of Brighton, so attending the DHS conference has given me a lot more confidence to speak and network. 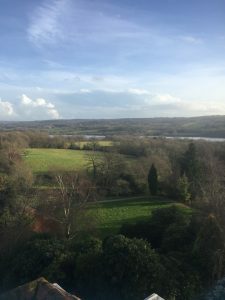 It was an excellent opportunity to see how a conference is structured and how a wide-range of subjects, which I had never previously thought of in terms of design history, can be effectively discussed and linked under a general theme. It was a very enriching experience, and I now look forward to my next conference.